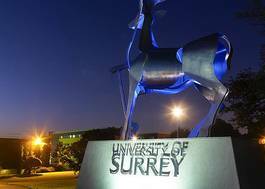 Study Physics at University of Sussex - Which? A-levels must include Mathematics. The A-level in 'Use of Mathematics' is not acceptable as meeting this requirement. Physics A-level is desirable, but we will consider applicants on a case-by-case basis without it. You should have a broad range of GCSEs grade 9-4 (A*-C), including good grades in relevant subjects. In addition to the Access to HE Diploma, you will also need an A-level in Mathematics, with at least grade B. Physics A-level is desirable, but we will consider applicants on a case-by-case basis without it. This score should be from the full IB Diploma. IB Higher Levels must include Mathematics, with a grade of 5. Higher level Physics is desirable, but we will consider applicants on a case-by-case basis with only standard level. In addition to the BTEC Level 3 National Extended Diploma, you will also need A-level in Mathematics (with at least grade B). Physics is desirable, but we will consider applicants on a case-by-case basis. You should have a broad range of GCSEs grade 9-4 (A*-C), including good grades in relevant subjects. If you are taking Scottish Advanced Highers we would normally ask for at least BBB. Highers must include Mathematics, with at least grade B. Physics is desirable, but we will consider applicants on a case-by-case basis. At Sussex, our experts are working at the forefront of physics, developing next generation quantum technology devices and working on the ATLAS experiment at the CERN Large Hadron Collider. You study modules based on the latest research, from quantum mechanics to particle physics. You also explore the fundamental laws of physics. We also offer this course as a four-year degree with an industrial placement year, as a four-year MPhys, as a four-year MPhys with research placements, or as a five-year MPhys with an industrial placement year. Sussex graduates change the world. Our students become the leaders of the future, making discoveries, improving lives and changing things for the better. Study with us to join a welcoming and inspiring community of staff and students from more than 140 countries. 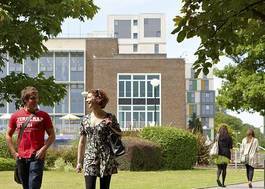 We shape the world from a fantastic campus on the UK’s beautiful south coast. We are the only UK university surrounded by a national park, so you can step off campus to explore the hills and woodlands of the South Downs. 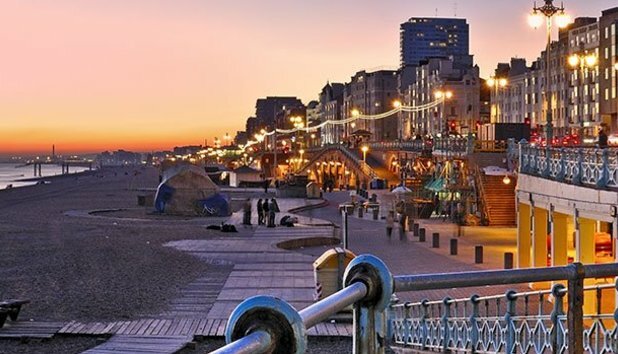 The vibrant, colourful and creative seaside city of Brighton & Hove is just nine minutes away. With Brighton voted the happiest city in England for students, (Student Living Survey, Sodexo, 2018) there can be few better places to study. See the modules you will study by year by going to the 'view course details' link.